Joanne Marie Vagnoni, 78, of Kenosha, passed away peacefully on April 10, 2019. Joanne was born in Kenosha to Herman and Hertha (Heimsoth) Kiffel on July 9, 1940. While in high school she met the love of her life, Joseph Vagnoni. Joseph and Joanne were married on October 17, 1959 in Kenosha. They had three children: Mark (Patricia) Vagnoni, Daniel (Mary) Vagnoni and Annamarie Vagnoni. 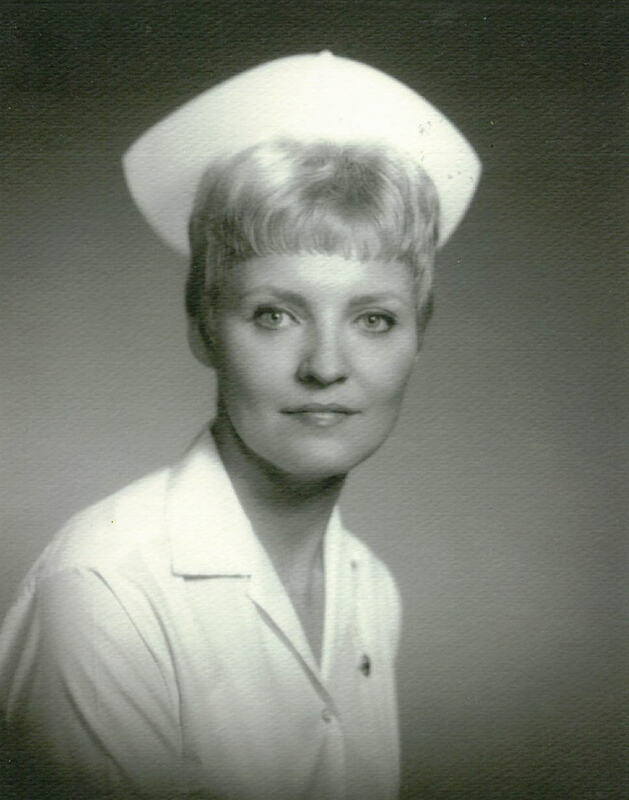 Joanne graduated from St. Luke’s School of Nursing and worked at St. Catherine’s Hospital in Kenosha, WI for 32 years. She loved nursing and took great pride in helping others. Toward the end of her career she worked as the Employee Health and Infection Control Nurse for St. Catherine’s Hospital in Kenosha, WI. Joanne dedicated her life to caring for family, friends and patients. Joanne found great joy in her family. She showed her family love not just with words but by the actions she took to make each of them feel special; whether it was sewing special quilts; arranging family camping trips; gathering family and friends with her spectacular homemade meals; organizing holiday traditions; or just those individual quiet moments where she would share her insight and wisdom to console a broken spirit. Family truly came first for Joanne, always working tirelessly to help them in any way she could taking on every loved one’s pain/joy as if it were her own. After retirement she spent her years enjoying time with her husband Joseph taking bike rides, tending to her garden, going on bus trips and dragging Joseph to rummage sales. The pure love she shared with Joseph for 59 years was unconditional and everlasting. Joanne was extremely proud of her grandchildren, Steven, Lindsey, Andrea, Jacob, and Maria and treasured spending time with each and everyone one of them. She had the perfect recipe for making every day a special adventure. Joanne is preceded in death by her father; mother and 3 brothers; Thomas, James, and William Kiffel. Joanne is survived by her husband, Joseph; three children; five grandchildren and five great-grandchildren. The family of Joanne Vagnoni wishes to extend our sincere thanks to Azura Memory Care of Kenosha, Hospice Alliance, Inc. and specifically to Mohamed Elgorhari, RN for the outstanding care she received during this very difficult time.